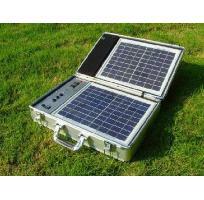 The PORTASOL portable solar generator has a 30W solar panel to store 300 watts of power and a modified sine wave inverter to produce both 120 VAC and 12 VDC electricity for residential, recreational and emergency use. Whether you are travelling in an RV, camping in a remote area, live in an area with power outages, or simply on the move, the PORTASOL solar generator will provide you with electrical power anywhere. The solar generator takes the energy from the sun, converts it into electricity and stores it into the battery. When the electrical power is required, the electricity is supplied directly from the battery. 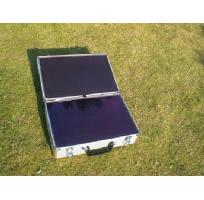 The solar panels are used to keep the battery charged. 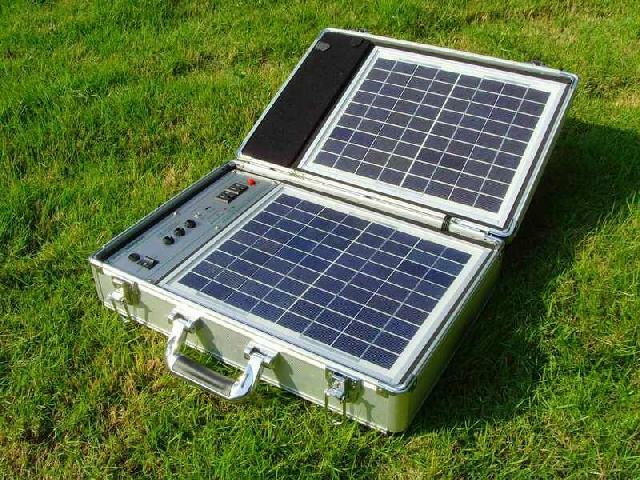 The PORTASOL solar generator is portable, compact and can be taken anywhere. 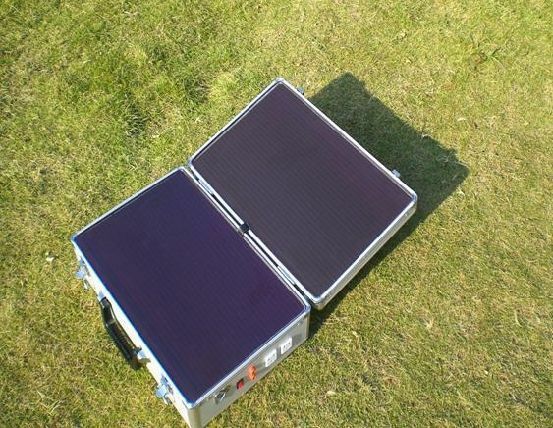 The retractable handle and foldable solar panels allow the PORTASOL to fit in almost any vehicle. The 6 inch wheels allow you to move the generator from place to place with ease. 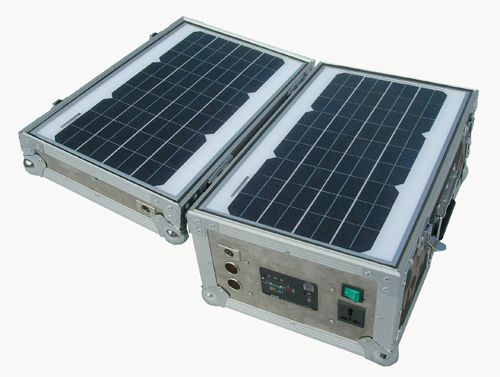 Compared to a gas generator, the PORTASOL solar generator is quiet, no handling or storing of fuel is required and it creates zero gas emissions. 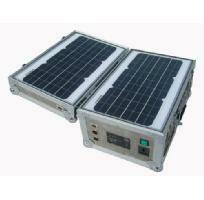 The PORTASOL comes complete with the generator and solar panels for charging. It can be used for most electronics and household appliances such as laptops, radios, televisions, mobile phones, lights. 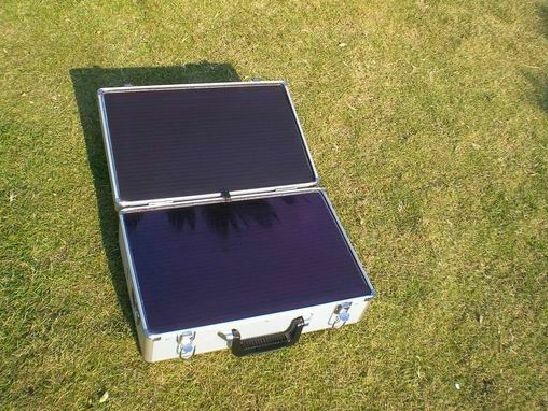 The solar generator is rollable, measures 28x22x14 inches and weighs 30 lbs. 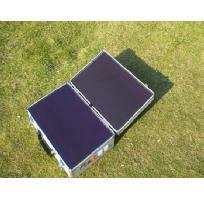 The solar battery is not included; 18 Ah battery to 26 Ah battery recommended.